BBC News – The Electoral Office has confirmed that 819 people have been nominated. Electoral Commission blog: Voters in Northern Ireland go the polls on 2 May for the local council elections. Everyone involved in elections wants to ensure that voters are able to have their say with confidence. BBC News – It is “irresponsible” for the Irish government to say a border poll should not be held at the moment due to uncertainty about Brexit, Sinn Féin president Mary Lou McDonald has said. Open Democracy – Former Northern Ireland frontbencher joins cross-party MPs calling for ‘full investigation’ into Richard Cook and the controversial £435,000 DUP Brexit donation. 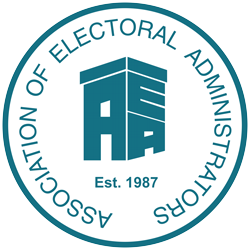 Electoral Commission blog: Transparency is a guiding principle for us at the Electoral Commission. We believe voters should be able to see and understand how political parties and campaigners are funded; how they spend their money; and who they target with campaign materials. BBC News: It’s the biggest shake-up of Northern Ireland’s parliamentary constituencies since the 1990s.